Tourists wanting exciting vacations this fall can get those thrills in Las Vegas with the help of Sapphire Resorts Group. This world-class luxury lodging provider helps all types of guests make the most of their Vegas vacations. Sapphire Resorts Group now caters to adrenaline junkies by revealing exciting Las Vegas activities. This world-class luxury lodging provider helps all types of guests make the most of their Vegas vacations. Vegas Indoor Skydiving. Guests can experience the thrill of sky diving without the added fear of jumping out of a plane. Knowledgeable staff members guide visitors so the danger quotient is removed, but every bit of the fun is there for the taking. Richard Petty Driving Experience. This attraction is for anyone who has ever wanted to feel the adrenaline-pumping power of driving a NASCAR vehicle on an actual racetrack. Sapphire Resorts Group guests can now rule the road in racecars designed for speed. Sky Combat Ace. After getting pampered at a Sapphire Resorts Group property, it may be time to take to the sky. Piloting, flying shotgun and aerial dog-fighting are all options here. Perfect for anyone who has ever wanted to feel the rush of flying a plane, Sky Combat Ace is an ideal place to make memories. Machine Guns Vegas. There’s no need to be a firearm aficionado when heading to this gun range. Get ready to live out those fun shoot ‘em up scenes that can be viewed in just about any gangster movie. Be prepared to be wowed with the selection of guns, experienced staff members and lounge-like atmosphere. Vegas Mini Baja Chase. Sapphire Resorts Group guests who crave speed may find this off-roading experience is tailor-made for them. Race a custom built mini Baja dune buggy throughout the wild wilderness known as Nellis Dunes. Select from buggies that offer seating for one, two, four or six. VooDoo Zip Line. Combine height and speed for the ultimate rush in this exhilarating experience. Riders are strapped in 490 feet above ground and sail through the air at speeds reaching 35 miles per hour. As an added bonus, beautiful views can be seen when riding this heart-pumping zip line. 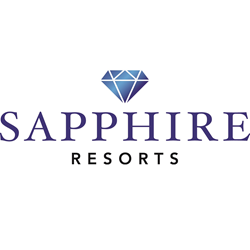 Travel professionals at Sapphire Resorts Group know that no two Vegas vacations are alike. If the goal is adventure and excitement, be sure to hit some of the top thrill-seeking activities when visiting. For more information on these great events and assistance with other travel planning needs, contact Sapphire Resorts™ Group today.